According to a statement by the American National Institute of Justice, more than 3,000 police officers’ lives have been saved by body armor since the mid seventies when they began testing and developing body armour and performance standards for ballistic and stab resistance. Please view here. Taking above into consideration, will you agree with me when I say that the cost of body armour just doesn’t seem that high anymore? In 2009 the American Bureau of Justice Assistance (BJA) and the Police Executive Research Forum (PERF) released the very valuable and informative findings of its National Body Armour Survey. The responses received from nearly 80% of the 990 randomly selected law enforcement agencies throughout the United States provide a detailed insight into their practices, policies, and standards regarding body armour for their officers. A rather interesting find was that 59% of agencies required their officers to wear bullet resistant armour or stab resistant armour, but only 45% had a written policy in place enforcing this requirement. This is certainly not an ideal result. We are all human beings, hence we don’t want to carry additional weight, feel less nimble and sweat more than necessary during a hot summer’s day, so some officers are of course bound to end up not wearing the armour. Having said this… ultra-light high performance bullet resistant armour, especially developed for hot and humid environments have recently been made available. 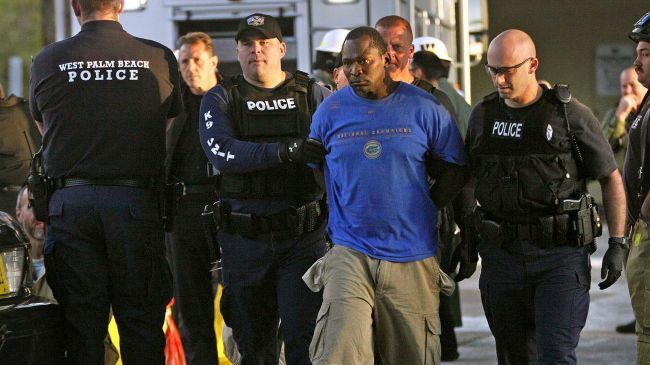 There is also the risk of police officer deciding not to wear body armor due to what they incorrectly might perceive will be a low risk activity or operation, unable to anticipate unforeseen circumstances, which would certainly require such equipment. 41.4% of law enforcement agencies in the US use body armour rated at NIJ Level II and 35.0% use NIJ Level IIIA, which means most agencies use body armour which protect officers against at least 9mm rounds and .40 calibre bullets, as well as .44Mag and .45Mag, but not against rifle fire or armour-piercing bullets. I believe this to be perfectly right, as any body armour offering a higher level of ballistic protection would result in being heavy, cumbersome and restrictive. 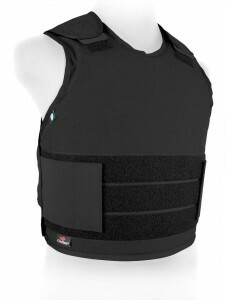 For those of you who don’t mind some more technical information… a NIJ Level IIIA tested and certified concealable bullet proof vest will guarantee you protection against 9 mm Full Metal Jacketed Round Nose (FMJ RN) rounds from close range, with nominal masses of 8.0 g (124 gr) at a reference velocity of 436 m/s (1430 ft/s ± 30 ft/s) and .44 Magnum Semi Jacketed Hollow Point (SJHP) bullets, with nominal masses of 15.6 g (240 gr) at a reference velocity of 436 m/s (1430 ft/s ± 30 ft/s). It also provides protection against all handgun threats a body armour tested and certified to NIJ Level IIA and II will offer. However, I must suggest a higher level of ballistic protection (NIJ Level III or IV) for those operators dealing with counter terrorism and similar high risk operations. 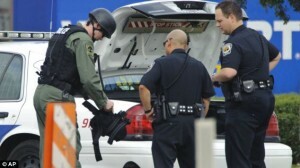 Police agencies were also asked to rate the importance of factors considered when purchasing body armour. The most important factors that police officers consider are whether the body armour will protect against rounds from the weapon of the officer, the safety level of the armour, and compliance with NIJ 0101.04 or NIJ 0101.06 standards. Other key factors are comfort and weight, and officers’ ability to move easily while wearing the armour. I am pleased to see that safety and comfort exceed all other factors. 87.9% of all surveyed agencies specified that officers are individually measured by their body armour manufacturer in order to establish the perfect fit. 74.0% had been taken measurements by internal agency representatives. The correct fitting of armour is crucial given that officers shot in the torso area can have bullets enter under their armor or through the side panels. Fitting therefore has the potential to be a largely overlooked factor in whether officers involved in shootings are injured or even killed while wearing body armor. One particular result I was rather shocked by was the fact that the 78.4% of police agencies surveyed do not have a database or automated record system for a body armor replacement schedule. Almost 23% of agencies have no policy at all concerning replacement of body armor, completely ignoring the shelf life of any body armor, which is subject to the type of storage, personal care, exposure to UV light and moisture and many other influencing factors. A standard policy to replace all body armour after five years has now been put in place within many police forces around the world, and I very much welcome this move. There is no doubt, providing body armour to all law enforcement officers would provide enough benefit to justify the cost, according to a ground-breaking research project carried out by RAND Corporation study, conducted in 2010. Analysing police officer shootings over a four-year period, the study found that wearing body armour more than tripled the likelihood that an officer would survive a shooting to the torso and estimated that providing such equipment to all officers would save at least eight lives annually! Have you any questions in reference to bullet resistant vests?